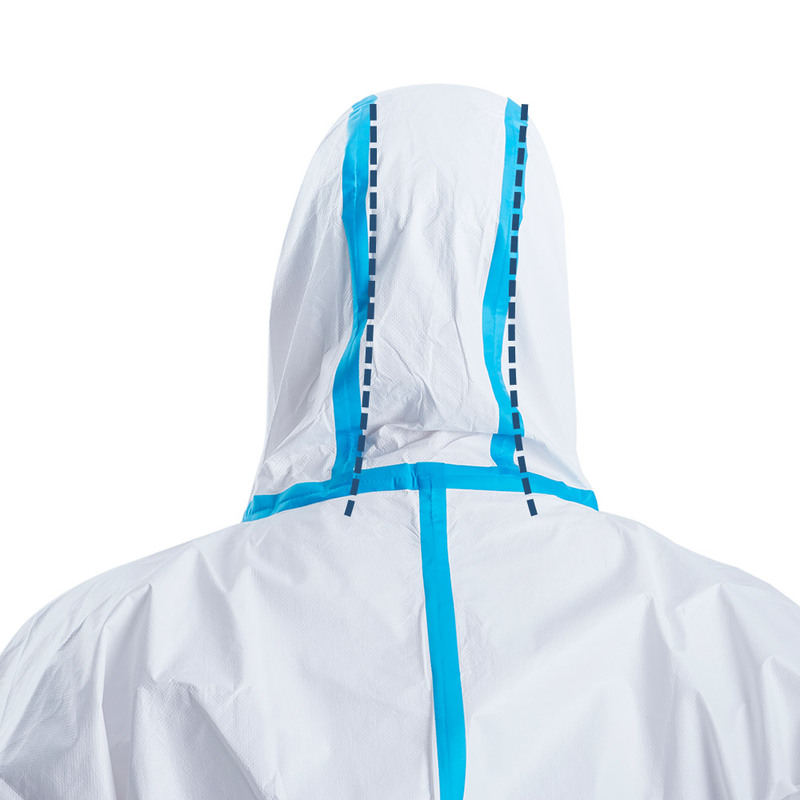 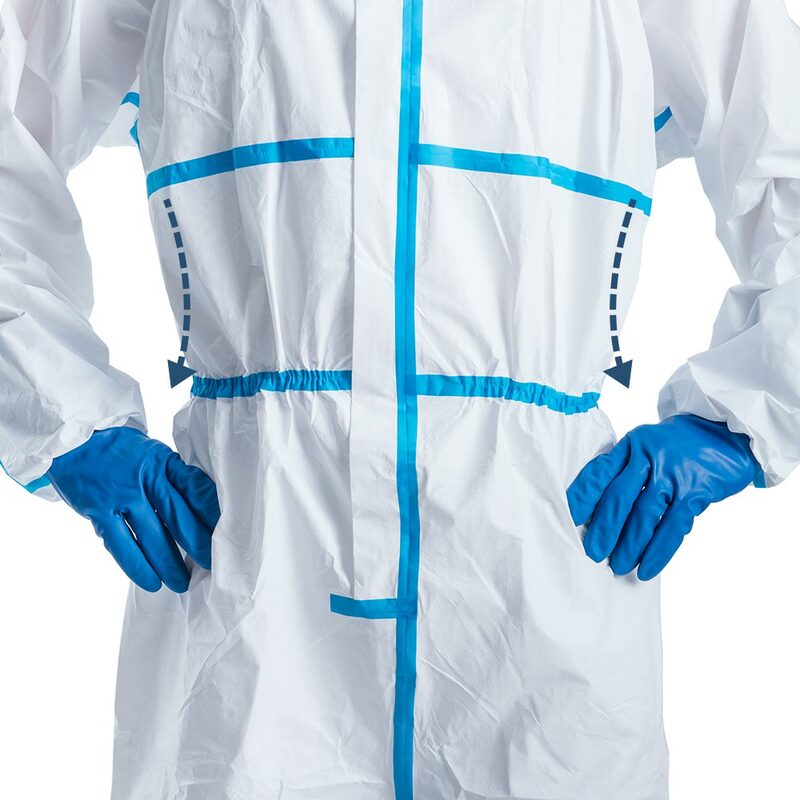 Combining liquid-proof fabric with sealed tape which offers protection level to type 4, provides an excellent barrier to pressurized liquid spray while keeping breathable and comfortable. 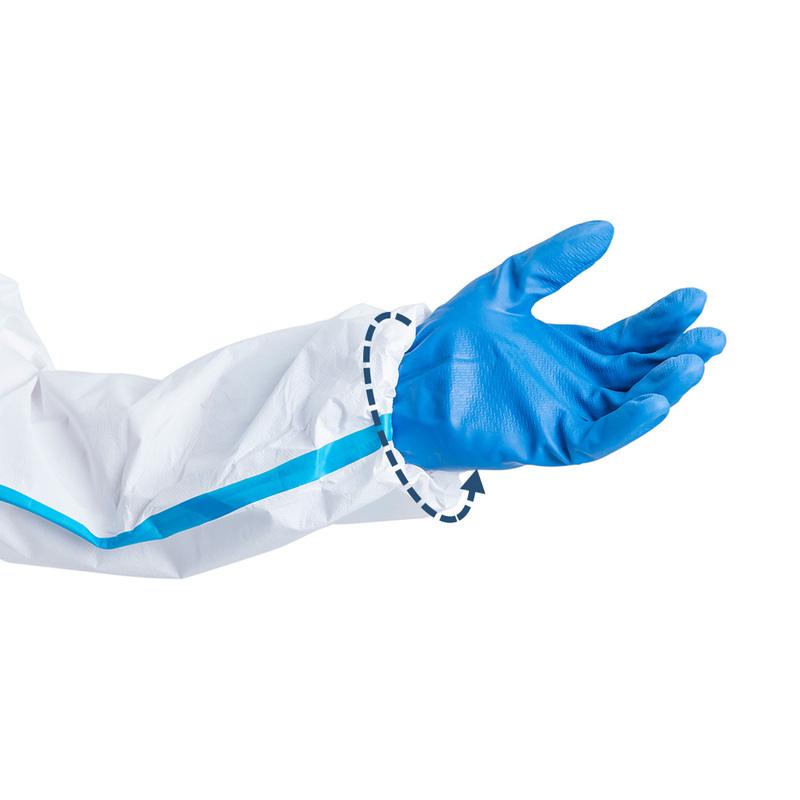 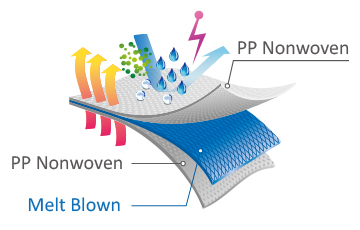 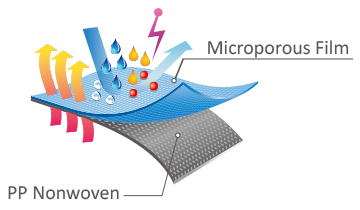 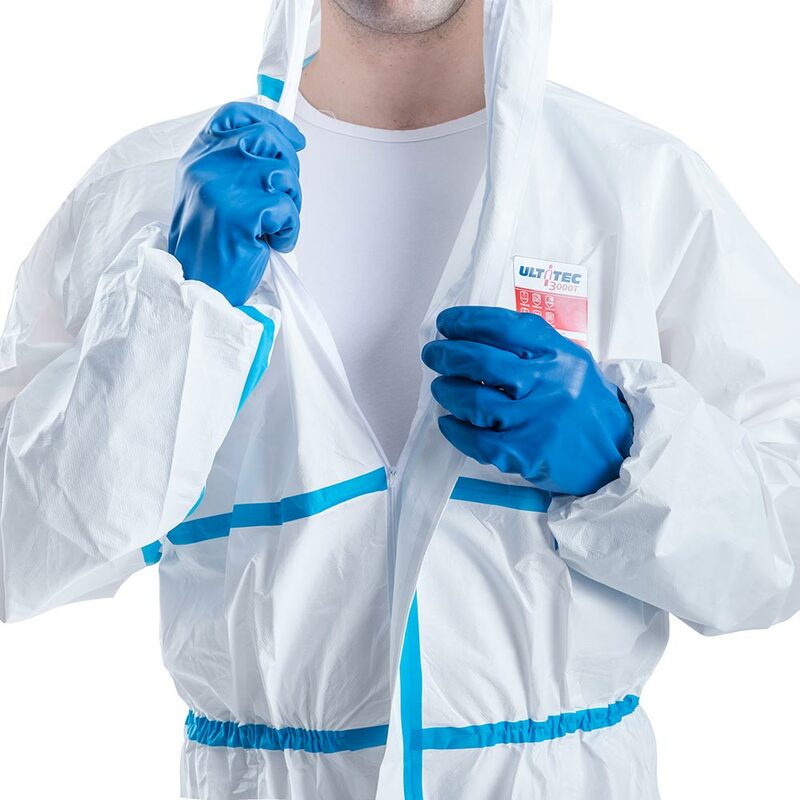 The premium microporous fabric offers an outstanding barrier against wide range of chemical liquids, blood, body-fluid and infective agents. 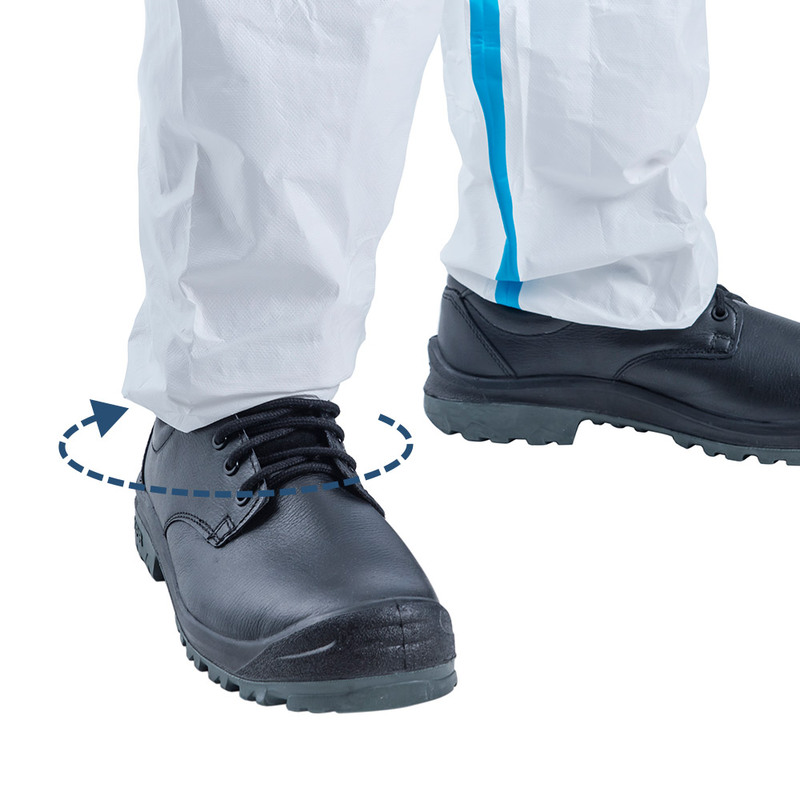 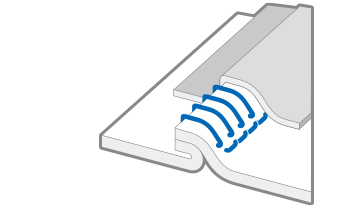 All seam are covered by liquid-proof tape to make sure no seepage. 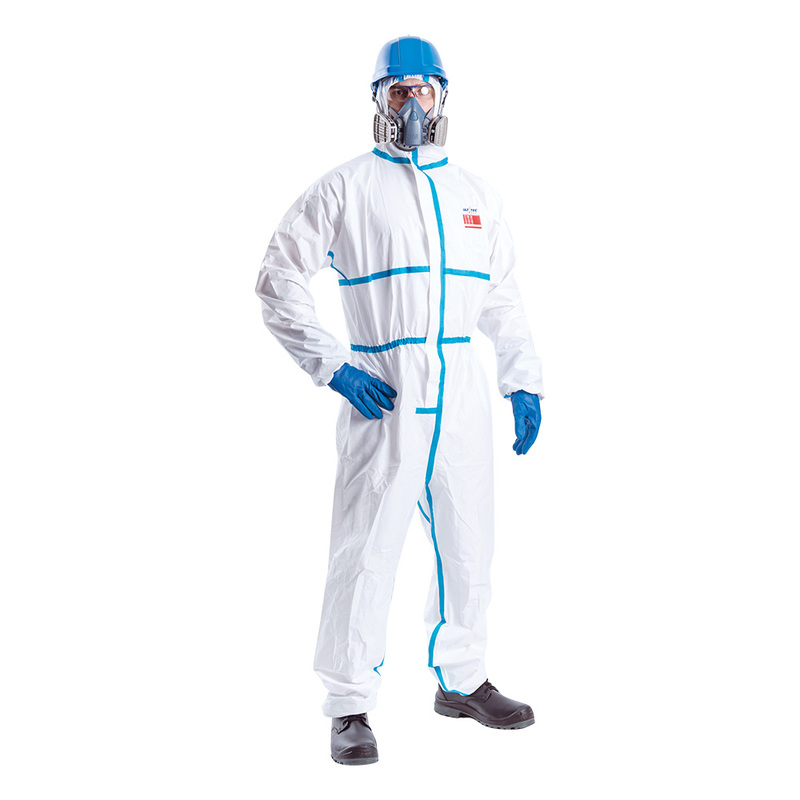 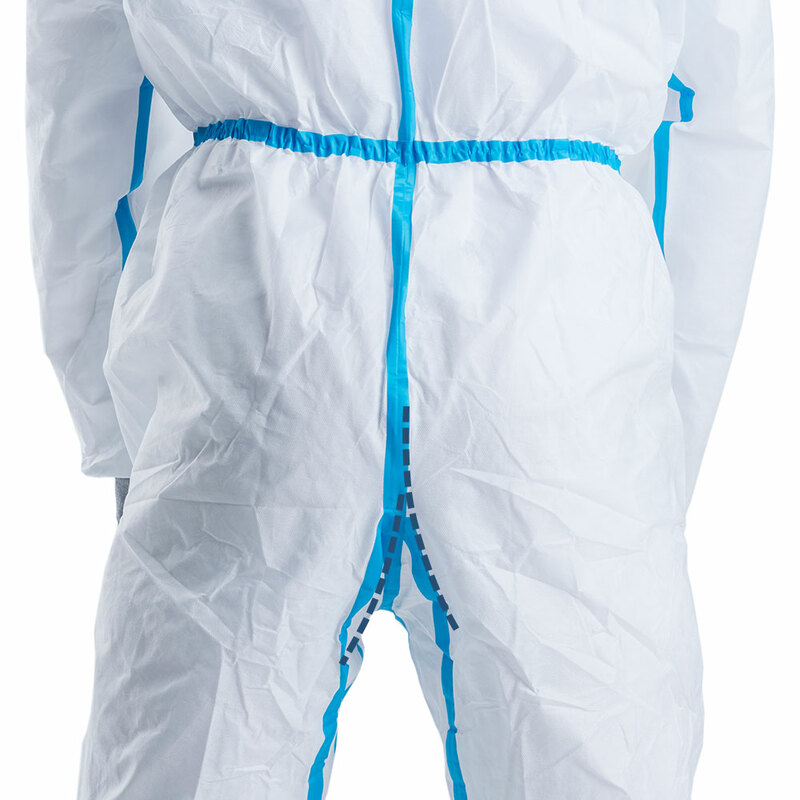 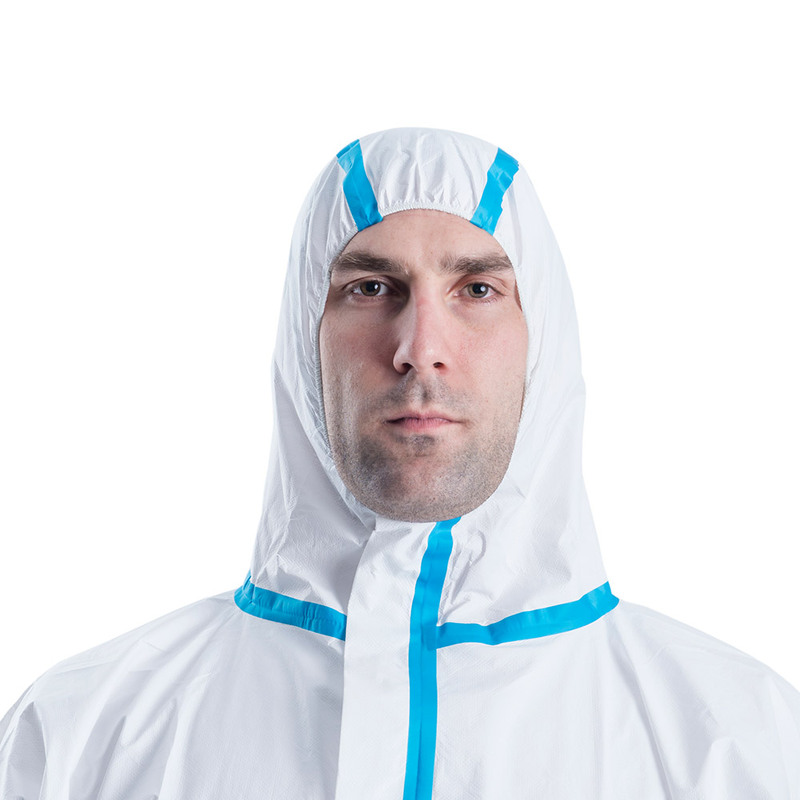 TYPE 6 EN 13034 reduced spray -suits which offer limited protection against a light spray of liquid chemicals. 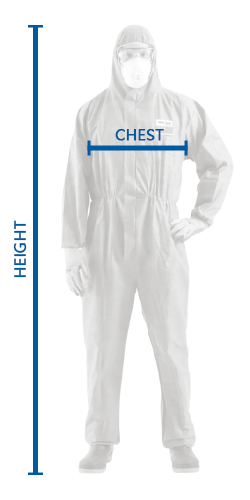 DIN 32781 Protective suits against pesticides.